Ubisoft Montreal recently came out with a special Halloween event for their popular first-person shooter Rainbow Six Siege. 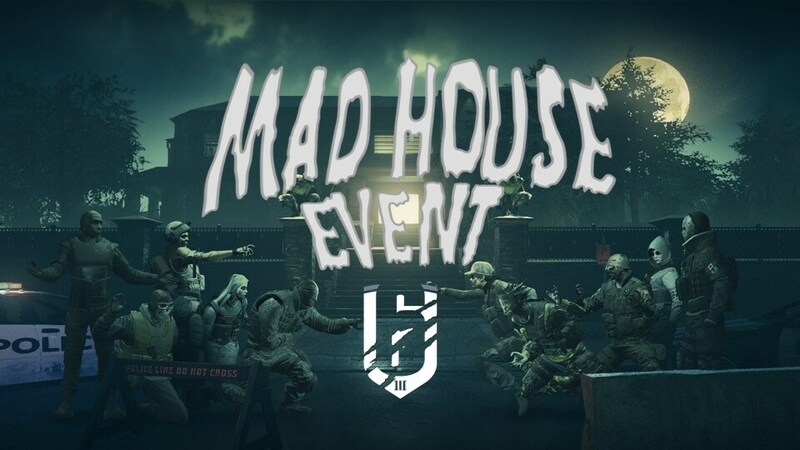 The Halloween event featured a new skin and atmosphere over a iconic map — House. In addition it featured 10 operators (all of which were already in the game) each of whom were in their Halloween skins. The operators are as follows; on defense: Jäger, Vigil, Mira, Pulse and Valkyrie; on attack: Thermite, Hibanna, Ash, Buck and Finka. It should be noted that the 6 DLC operators able to be played during the event were could only be played by those who already owned them. Furthermore, those who didn’t have any of these ops are forced into picking Recruit, who has no special skins or additions in this event (unlike in Outbreak). It should be noted, these restrictions are only for those playing in the Discovery Casual playlist, normal matchmaking has not been affected. The Skins for Jager, Thermite, and Buck being outstanding with the rest only being okay or a letdown. The house re-skin was pretty good, decorations such as blood smears, paintings, gargoyles and pumpkins being spread across the map (the gargoyles were placed in odd positions, making me think that it’s an easter egg). The atmosphere of the map is also quite spooky with great sound design. However, there was a downside to some of their adjustments, the lighting on the map was absolutely abysmal while playing the game as it made some enemies hard to distinguish from the various backgrounds. Furthermore, the event doesn’t feel special enough with the only variations being quite isolated and shallow (along with 2 challenges). In conclusion, I think that the Rainbow Six Siege Halloween event was a huge letdown. The event could have had so much more potential if they did something like Outbreak (but maybe not to the same scale). Even though the skins (including House) were pretty good for the most part, they were easily overshadowed by fundamental errors such as restrictions on operator choice, lighting, and overall shallowness of the event. I would give this event a 3/10 pushing 4/10 at best.